These small wonders punched way beyond their weight. 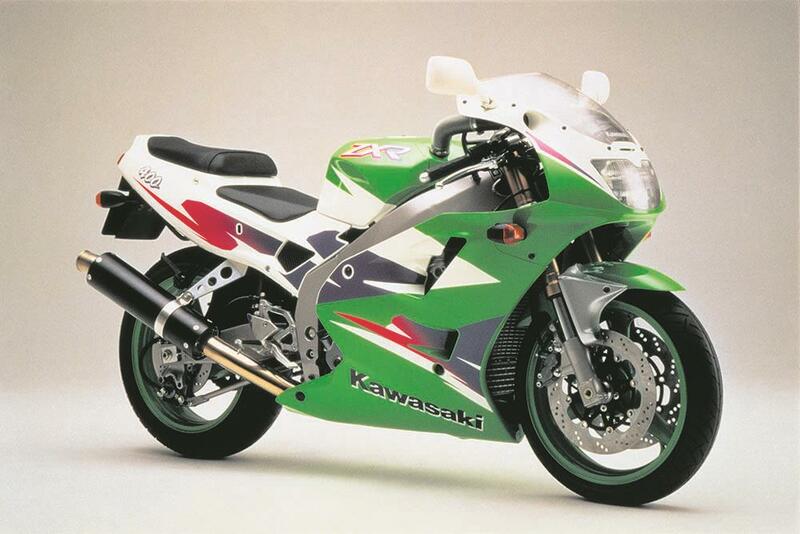 Kawasaki’s liquid-cooled twin engine has been around for years, originally as the GPX250, but don’t worry about that. In 300cc form, it gets some useful (and much-needed) torque, and up-to-the minute styling and equipment, including a slipper clutch. The rubber-mounted engine is smooth, the bike will exceed 110mph and it handles well enough to be great fun, even on track. Easy on fuel, too, and has a massive tank range. 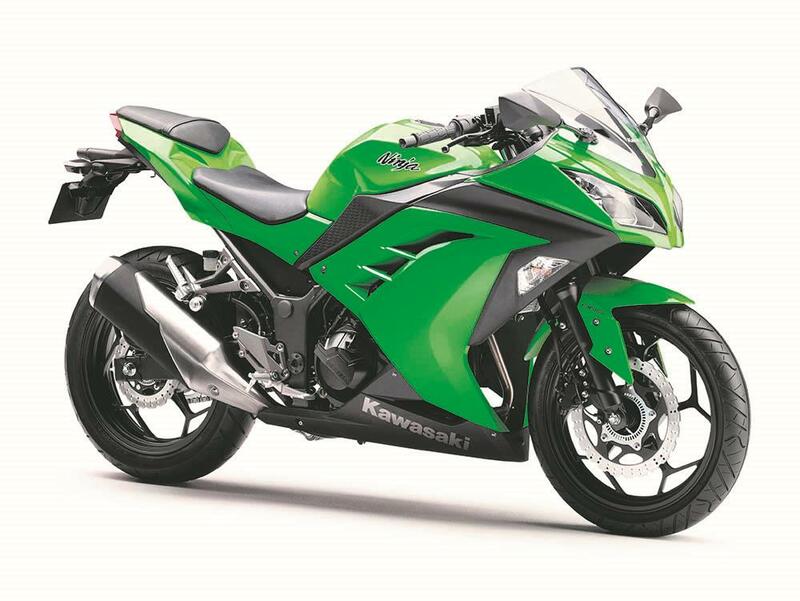 The 2016 model has sharper styling, channelling the ZZR1400 and ZX-10R, and also has ABS as standard. It’s hard to think of a better post-125 A2 licence bike. Not many used ones about, though. But should you? It’s this or the Yamaha MT-03. Do you prefer naked or faired bikes? Absolutely the teen dream sports 125 of choice. Deltabox frame (albeit steel rather than alloy), bean can exhaust, looks to die for and competitive price. Best of all, it had Yamaha’s power-valve. 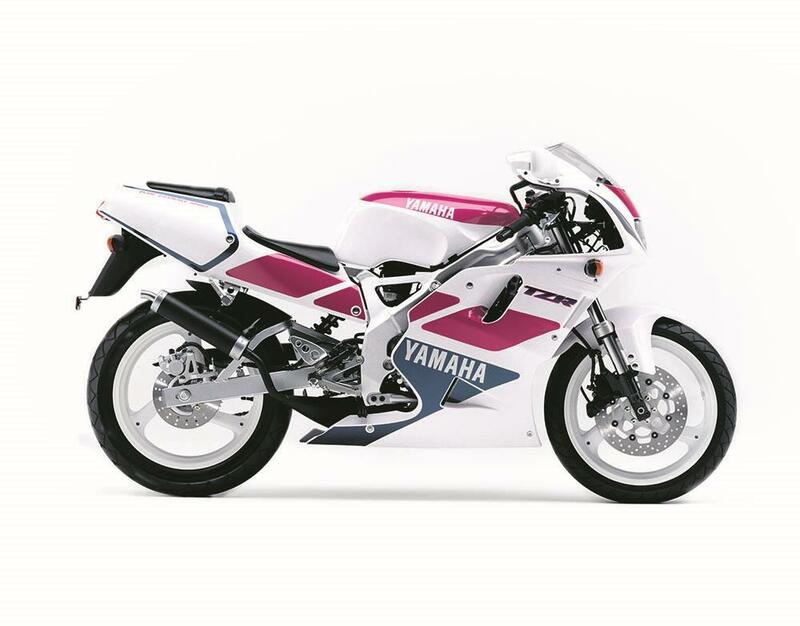 This was pegged in the closed position for learners, but once you’d passed your test, Yamaha would sell you the servo motor and plumbing. Just about every learner pegged it open and lived with the knife-edge powerband. The imaginative attached the cable to a handlebar lever so you could at least get some bottom end. It would show 100mph on the clock, and a bit of tuning would get even more. But should you? Ignore ‘barn finds’ and go for the best you can find, with the YPVS fitted. Whatever happened to small-to-medium sized trail bikes? The rest of the world gets 400s and 450s, and we don’t. 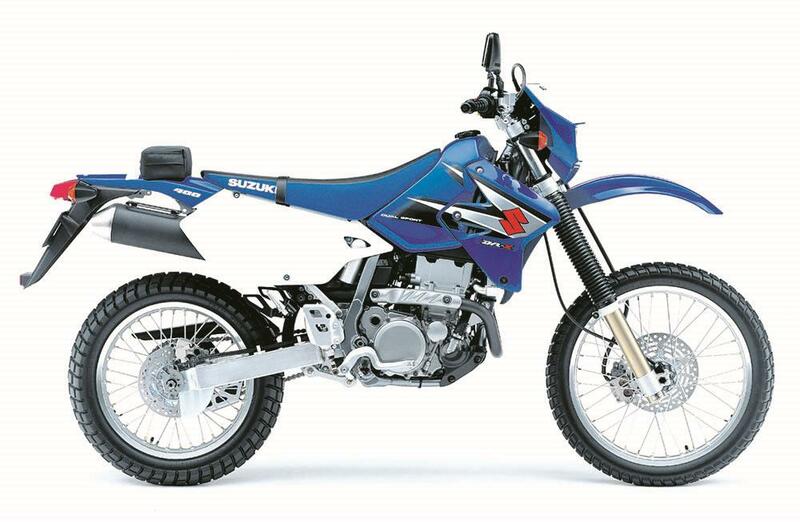 Happily, there’s this Suzuki, which walks all over bigger trail bikes (600 and 650 singles, never mind the giant adventure bikes) once off tarmac. That’s the great thing about smaller dirt bikes – they’re way more manageable off-road, and yet good ones have enough horsepower to be OK on the road (though motorways are best avoided). Simple and easy to maintain and as tough as boiled shoe leather. Just keep it secure – it’s a thief magnet. SM model is the supermoto version, if that floats your boat. But should you? If you’re a serious dirt rider, yes. If you want something more road-biased, then probably not. The only truly sporting Honda SOHC four. 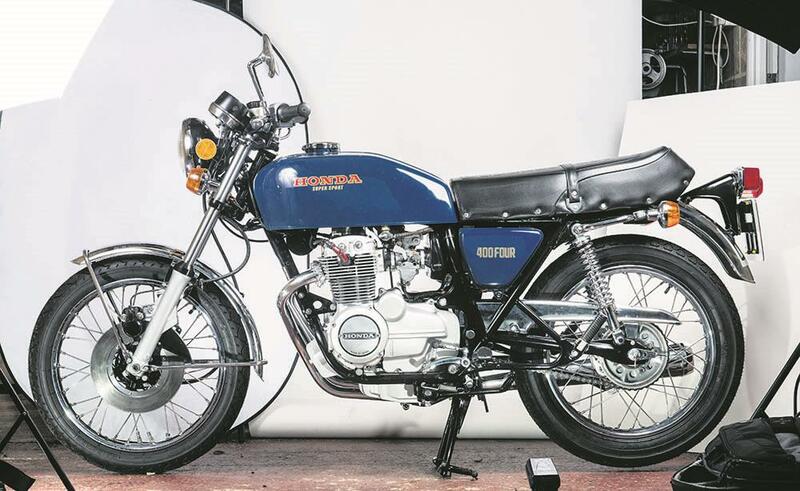 A happy accident – a bored out CB350 engine with slab-sided tank and panels, rearset pegs, flat bars and one of the most beautiful exhaust systems ever fitted to a motorcycle. 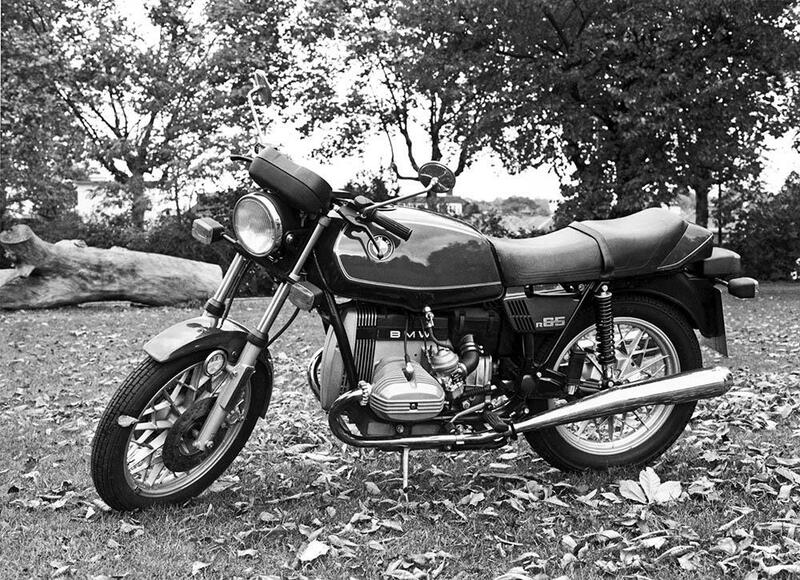 It did 100+mph: only 10mph down on the later detuned CB750s, and was the best-handling Honda of the era. But should you? It’s still magic to ride, so yes but beware bodged ‘restorations’. 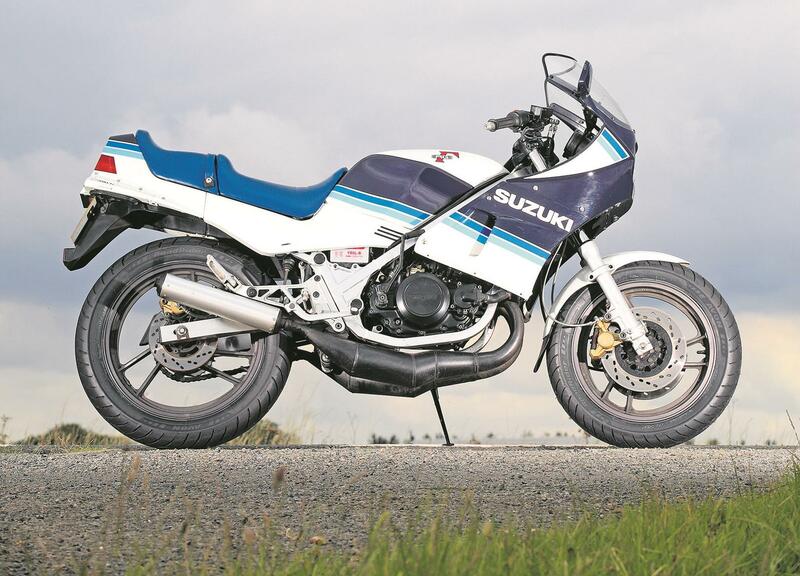 Suzuki’s answer to the RD350 boasted a real race-bred aluminium chassis and sensational brakes, but the engine was only a 250. The answer was obvious: people put the Yamaha engine in the Suzuki frame to make a YamaGamma: the Triton of the 1980s. But should you? 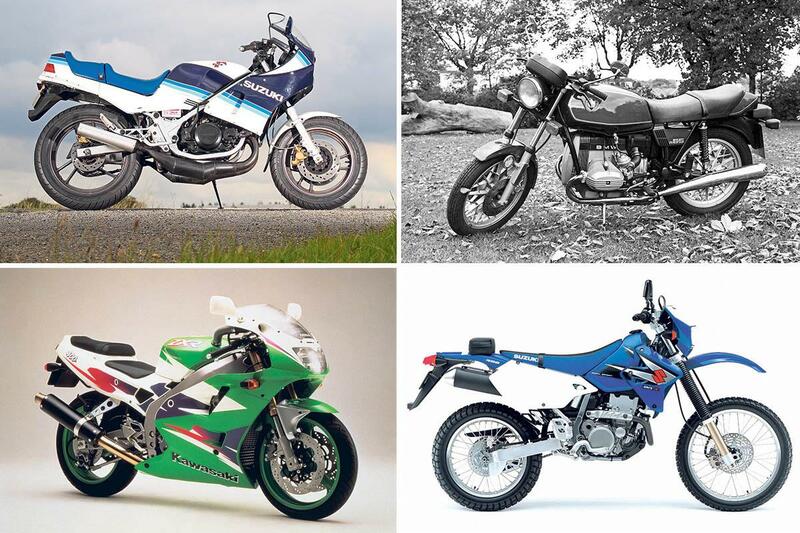 An RD350 is still more popular, and an Aprilia RS250 or Suzuki RGV250 is a better bike. Little brother of the 750 race-rep, even down to the Hoover tubes over the tank and the near-rigid rear suspension which, with the ‘uncompromising’ riding position and hard seat, meant it was severely uncomfortable. On the other hand, it did 140mph, handled impeccably, sounded naughty and looked a million dollars. But should you? Yes, but beware ex-racers and go for a genuine UK bike. Shares remarkably little with BMW’s other ‘airheads’. It has a smaller frame with improved geometry and shorter wheelbase, plus a shorter-stroke (61.5mm) engine, which makes it lighter, smoother, sweeter and revvier, and a much better handler than the other boxers. But should you? Not the fastest but probably the best old-school boxer engine, with a more modern feel.